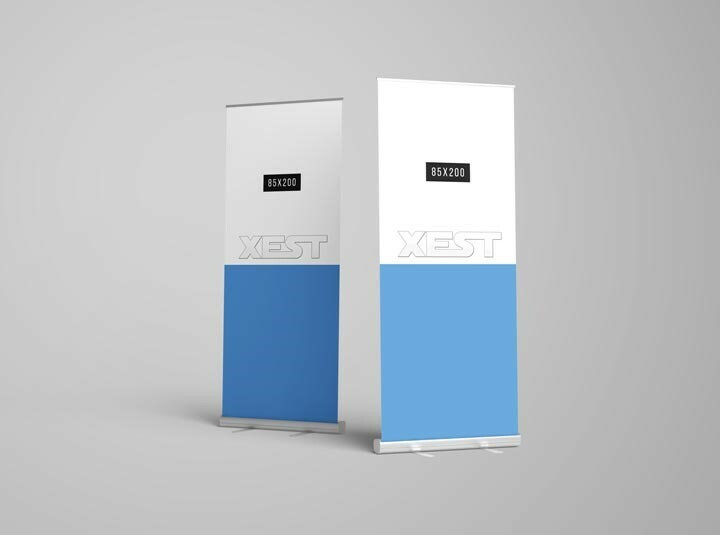 Pull up banners are a great way to catch attention at events and trade shows - XEST Nimmerrichter produces and delivers a broad range of marketing supplies. We print on-demand and are based in central Vienna - Austria. 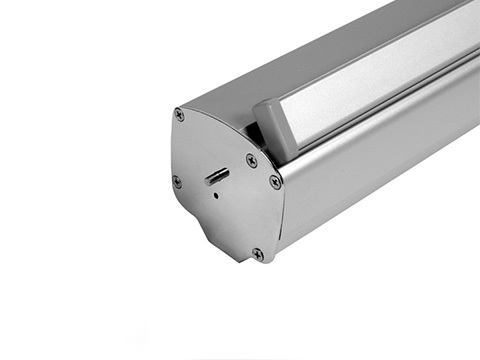 High quality at a competitive pricing – guaranteed! 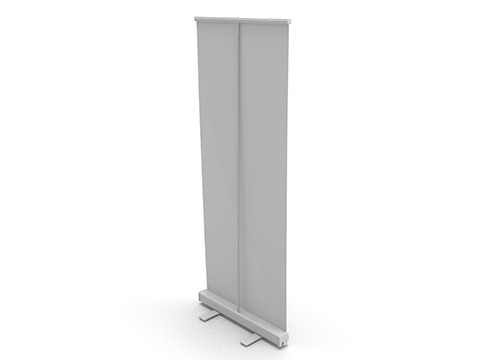 EXPRESS - We can print and assemble roll up banners in a very short time. We use materials with quick dry technology in order to ensure fast production times. Urgent order? No problem! Give us an additional call at +43-1-3327588 to make sure that your inquiry will be handled asap! 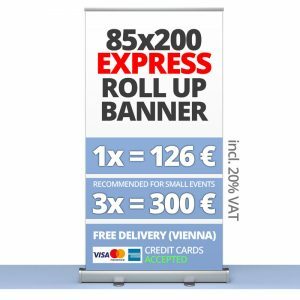 - FREE DELIVERY on-site or to any location in Vienna! 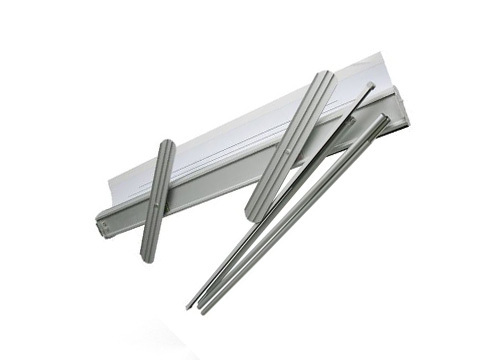 Just contact us, our staff will happily pick up the used roll-ups and we even offer a small reward cashback! The returned systems are professionally recycled and cleaned by our company. Please let us know if you wish to receive a recycled item during the order process. Recycled Roll Up Banners come with a special eye-catching sticker, so that everyone notices that you and your company care about the environment of tomorrow!